Aime M. Mingonet before the war. 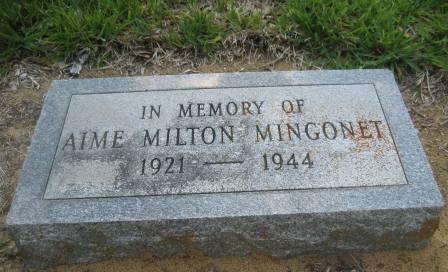 Aime Milton Mingonet was born in 1921 in Lake County, Florida. His father, born in New York, was a florist. Aime graduated in Engineering (BSE) from the University of Florida. He was a member of the Pi Kappa Phi fraternity. On the 6th of July 1942, Aime enlisted in Gainesville, Florida and did his training. 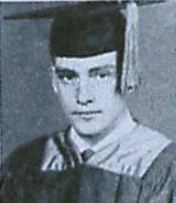 He was first placed into the Army Reserves. He then married his love Ruth Galloway in 1943. In 1944 Aime was assigned to the 47th Infantry Regiment of the 9th Infantry Division, and entered the European battlefields. While fighting in the Hurtgen Forest area, Corporal Mingonet was positioned near the town of Schevenhutte. The 47th Infantry Regiment took up positions in this town, and at that time, they were one of the units furthest into German territory. Many German counter attacks occurred during the 2 months in the town, but they kept the line secured. From the town of Schevenhutte, Corporal Mingonet led a reconnaissance mission into enemy territory at the nearby town of Gressenich. 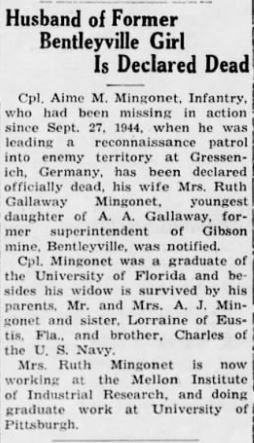 During this mission on September 27th 1944, Corporal Mingonet went Missing In Action. The Daily Republican – Pennsylvania Oct 25 1945 article. Corporal Mingonet is memorialized in a stained glass window at the First United Methodist Church in Eustis, and has a Memorial headstone in Greenwood Cemetery Eustis Lake County, Florida as well. His name is mentioned on the Wall of Missing at the US Cemetery in Margraten, The Netherlands, and the name has been adopted by my parents who place flowers there a couple times a year to remember him. 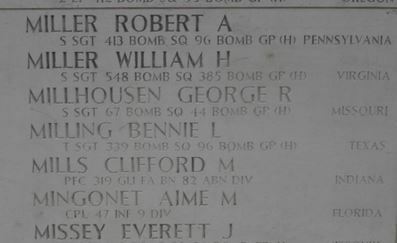 Aime’s name on the Wall of Missing Margraten. Picture by Family Beckers. We will never forget the sacrifices Aime M. Mingonet made for our freedom. Special thanks for the information to 9th Infantry Division Net Missing in Action Project member Lisa Froug-Hirano, Kingslat at Findagrave.com, Newspapers.com for the article, and the Beckers Family.